From the creators of the Unreal Engine, and the Unreal and Unreal Tournament universe, Epic Games, or formerly Epic MegaGames, has been in the industry for a long. With their engine they’ve been constantly pushing the industry forward technologically, but aside from their Unreal Engine, hasn’t made many truly noteworthy games. That changed in 2006 with the release of Gears of War, the game that moved Xbox 360’s off the shelves and many felt from the opening sequence that a new franchise was born. Partnering with Microsoft to publish an exclusive game, Epic Games and game director Cliff Bleszinski, Gears of War was born into the world – the first in a series of sequels. A military science fiction third-person shooter, Gears of War follows a team of troops called Delta Squad on a fictional planet called Sera, as they take on an unrelenting subterranean enemy known as the Locust Horde. The player plays as the main protagonist, Marcus Fenix, and can be played cooperatively with the second player assuming the role of Dominic “Dom” Santiago. The game’s environments are dark and dreary, and very gloomy. The war against the Horde is not going well, and the heroes have been losing family and friends alike. The levels are very dark and ominous, and the game utilizes the shadowed areas as danger zones where the Kryll, a bat-like enemy, rips the player apart if caught in the darkness for an extended period of time. There are many enemy types, large and small, and a lot of the burrow out of the ground as the player progresses from one section to the next. 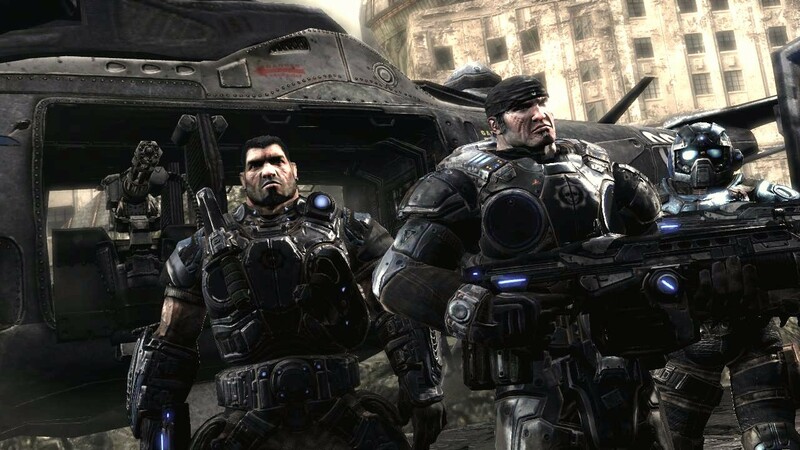 Gears of War stood out because of its haunting and violent subject matter, but the gameplay and visuals set it apart from all predecessors and copy-cats. Visually, the game set the bar for the 360, begging any competition to match it. As mentioned, Epic Games are the developers of one of the premiere game engines in the Unreal Engine, always pushing the tech forward, and Gears utilized it in a way only the creators of the tech would know how. The gameplay gave us a fresh take on the third-person shooter genre, granting us a new, unique cover mechanic. As the player we can crouch up against any wall in the game with a tap of a button, and we can strategically aim around the walls, blind fire, as well as vault over, or around any cover. All seamless and smooth. The game also introduced Cliff Bleszinski’s much lauded Chainsaw Gun: an assault rifle with a chainsaw attached to the front, allowing for ranged gunplay, but deadly close encounter attacks. Gears of War is one of the best all-around packages on the 360: gameplay, visual, story and multiplayer, and wraps up my top three third-person shooters on the platform. It has spawned 2 sequels, and a prequel, along with other stories and works crossing multiple mediums. 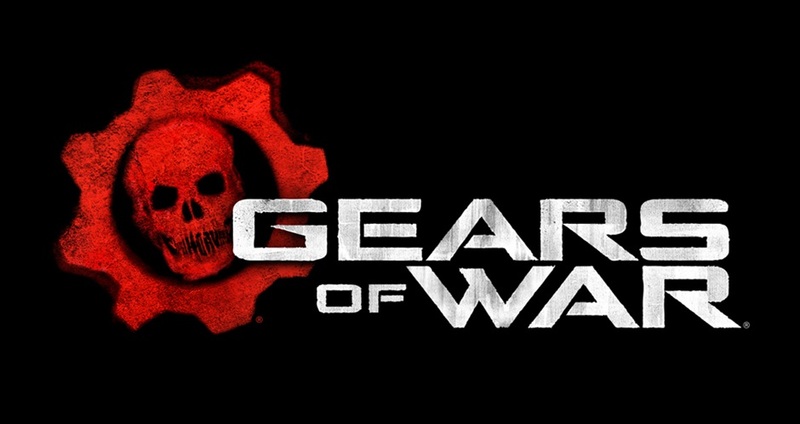 And lastly, announced earlier this year at E3, Microsoft, who now owns the Gears IP, along side a new development team in The Coalition, will be bringing a new story to us in Gears of War 4 later next year. You can check out my E3 impressions here. This entry was posted in Feature, Reviews and tagged Games, Gaming, Gears of War, microsoft, Top 10, Video Games, Xbox, xbox 360. Bookmark the permalink.